Authentic industrial grade 1.8" and 2.5" Serial ATA (SATA) Solid State Drives (SSDs)* for military, medical, and industrial customers. APRO HERMES-ER series industrial SLC SATA II SSD [1.8", rugged metal, 7-pin+15-pin] are available from 8GB to 128GB and in standard temperature grade (0°C to +70°C) or industrial extended temperature grade (-40°C to +85°C). 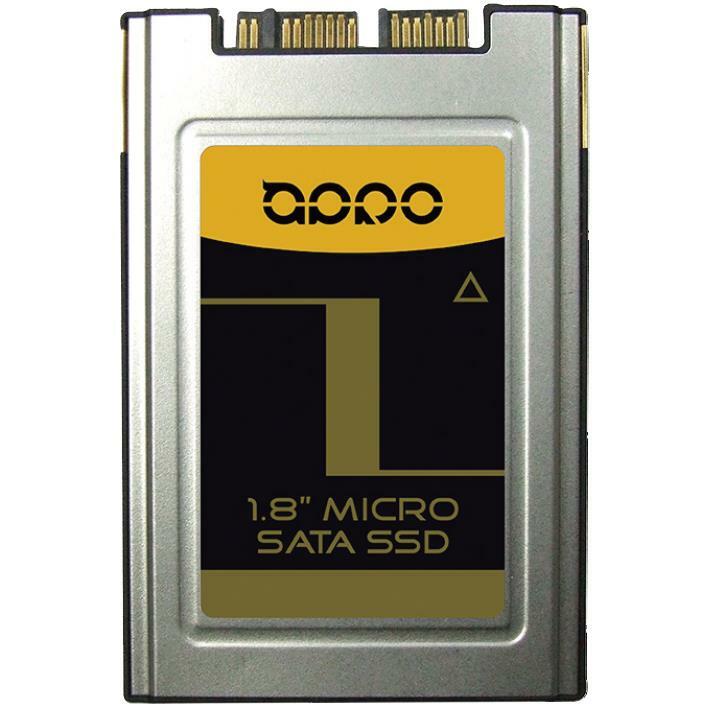 APRO HERMES-F series industrial grade MLC SATA III SSD [1.8", rugged metal, 7-pin+15-pin] are available from 8GB to 256GB and in standard temperature grade (0°C to +70°C) or industrial extended temperature grade (-40°C to +85°C).